The Dim Sum Diaries | Lantana | "One cannot think well, love well, sleep well, if one has not dined well." When we tire of Hong Kong’s bustling city life, we often crave little holidays to take us away from it all. The beauty of living here means that we are able to escape from the city without even needing to leave the country. 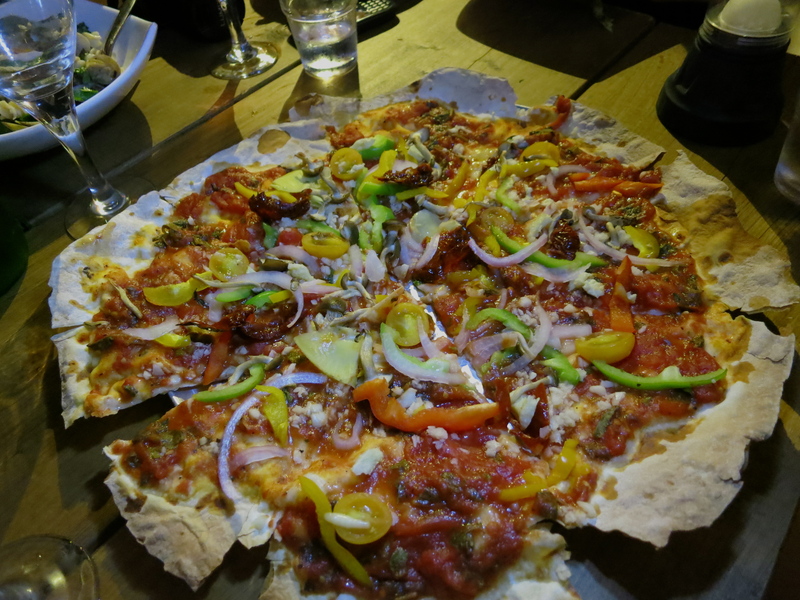 On a recent mini ‘holiday’ to Lantau for what we thought would be a comfortable ‘glamping’ trip (trust me, camping in August, whether glam or not, is most certainly not advisable), we were recommended to dine in newly-opened Italian restaurant Lantana on Lower Cheung Sha Beach. Everyone knows Cheung Sha for The Stoep. I do love The Stoep and keep giving it more chances, yet every time I go, I am without fail disappointed: the service is terrible, the food is average; it’s just the setting that makes it worthwhile. 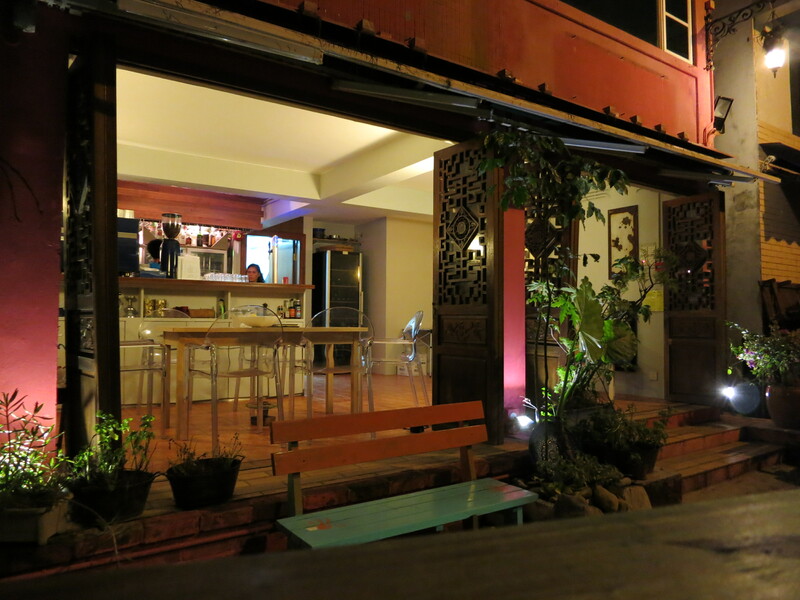 Lantana, a few doors down from there, has the same beautiful setting, yet manages to produce some great food to match. The menu is limited to salads, pizza and pasta, with only two dessert options. I feel that you can look at a small menu in two ways: either it is too restrictive and thus boring, or, as it is sticking to what it knows best, it is bound to be good. 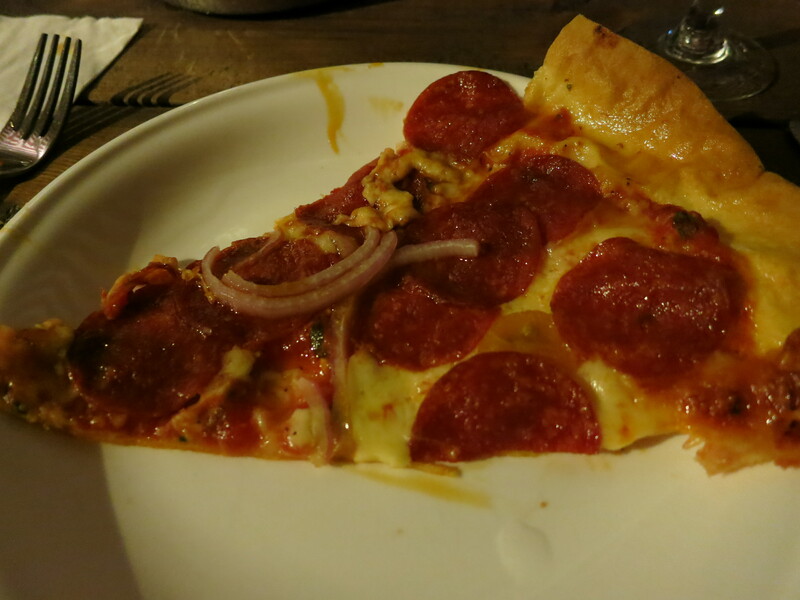 Lantana’s menu falls into the latter category; no one tried the salads, but the pizzas and the pastas did not disappoint. One of the great things about reviewing restaurants is that people feel compelled to let me try their dishes, knowing I need to get a feel for as much of the menu as possible. I therefore was able to try five varieties of pizza – Country, Feta Florentine, Vegetarian, Parma and Pepperoni – all of which were delicious. The base is paper-thin, exactly how I like it, with crispy edges yet enough doughiness to make it still feel a little bit naughty. 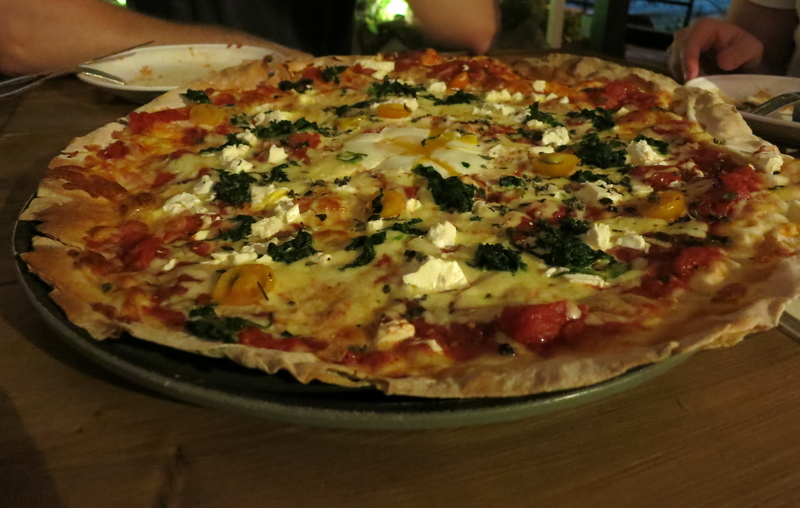 One of the best was the Florentine: a classic favourite with the bonus addition of feta cheese. Egg on a pizza may not be everyone’s cup of tea, but there is no denying the perfection of this soft, runny egg that completed the already delicious pizza. 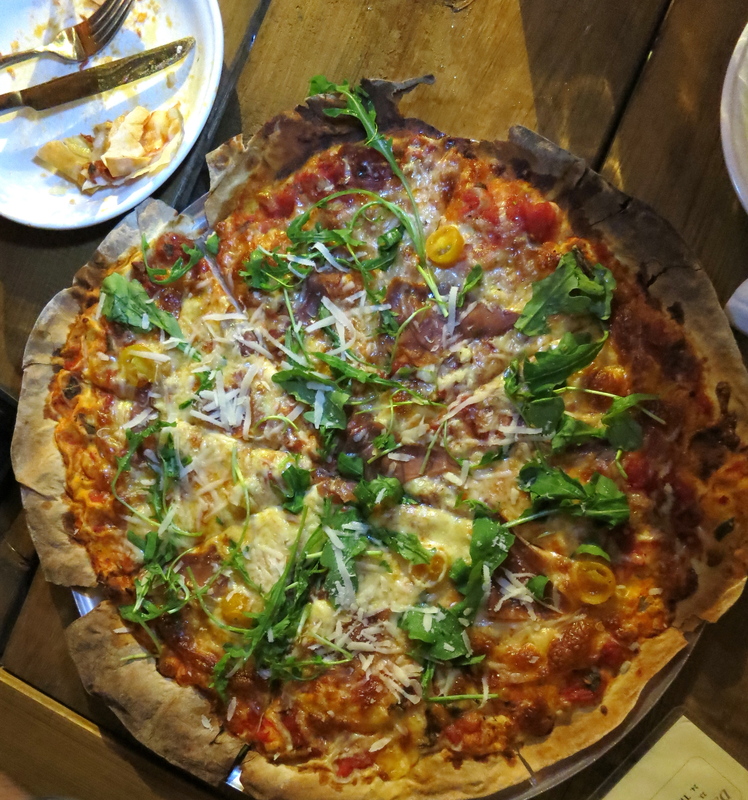 My all-time favourite pizza is a Parma, made with good quality Parma ham, rocket, Parmesan and in this case juicy cherry tomatoes and soft chunks of garlic. My only complaint is that they could have been a little more generous with the ham. Lantana caters not only to vegetarians, but also to several common intolerances, happily accepting requests for cheese-free pizzas. A vegetarian, cheese-free pizza to me sounds about as exciting as pancakes without maple syrup, yet Lantana made up for the lack of excitement by heavily loading it with red, green and yellow peppers, cherry tomatoes, sundried tomatoes, red onions, artichokes and garlic on a thick, fresh tomato paste. 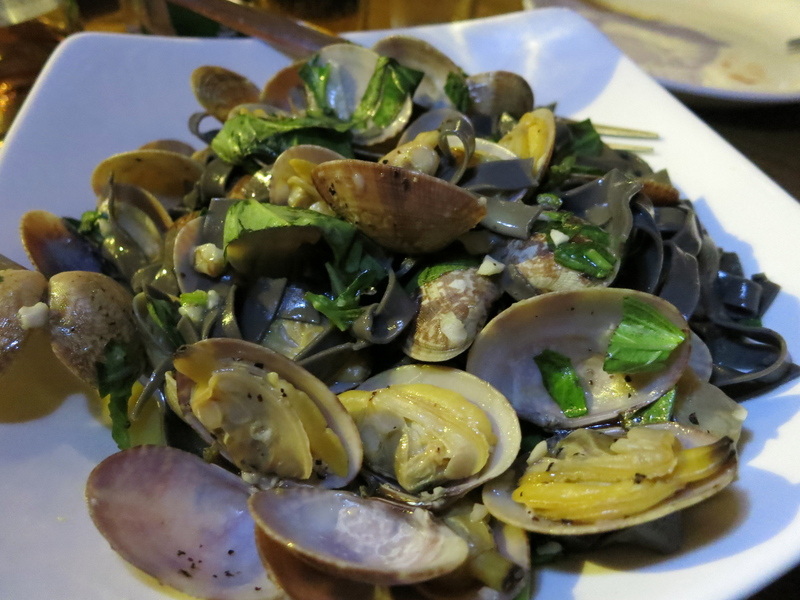 The Vongole pasta was interestingly made not with linguini but with spinach fettuccini. 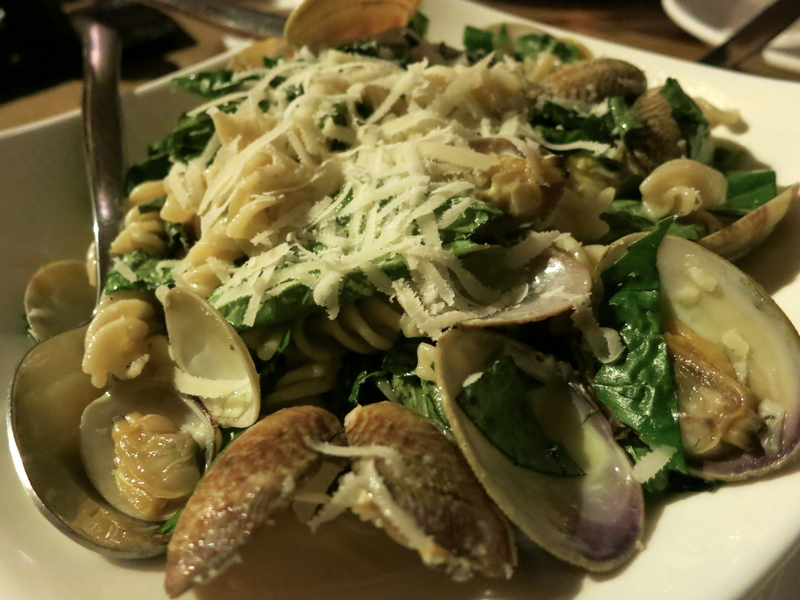 The pasta was fresh, the clams were flavoursome, and the white wine garlic sauce was spot on. However, I was glad to be sharing it, as portion sizes are not for the feeble-stomached. Any of the pasta sauces can also be served with gluten-free pasta, provided you call ahead to ask the chef to buy some for you. The GF version of the vongole was just as delicious and you could barely tell it wasn’t regular pasta. With plans to return to camp to make s’mores around a barbecue, we passed on the options of tiramisu or panna cotta, although I would be interested to see how well these are executed. The bill for 16 people, including what seemed like endless supplies of rosé, came to only $250 a head. Aside from being very accommodating to dietary requirements, service left a little to be desired and dishes arrived at completely different times. Service charge isn’t added to the bill so it surprised me that the staff didn’t work harder to earn it. Overall, however, I am definitely a fan of Lantana and will know now to bypass the other restaurants and head straight there for some casual Italian fare in a setting that makes me feel like I’m far, far away. ooh vongole’s my all time favourite pasta!! definitely putting Lantana on my restaurant list! Yes definitely give it a go, Veronica! I hope you like it. I went to The Stoep in January this year and it has moved location. We had a good meal and service was from the original founder who has returned so it was good. I agree with your comments about it previously and wondered if you had been back recently or feed back from others. Did we just get lucky? Also, Flavia and I are going to El Nudo in December. Looking forward to it. Hi Stephen, thanks for your comment! I have been back to The Stoep since it moved and agree it is much better. I didn’t get round to reviewing it, but hopefully can do so next time! I hope you enjoy El Nudo! Will let you know if worth a re-visit!